Window Cleaning is a family owned and operated business. We are a fully insured and bonded with a comprehensive worker’s compensation package. Window Cleaning is a professional company available in all five boroughs of London. Our main goal is to provide exceptional customer service while exceeding our clients’ expectations. Window Cleaning’s staff believe in honesty and integrity. We take pride in the quality of our work and ultimately, our customer satisfaction. Window Cleaning is built on our satisfied clients’ referrals to their friends, family, and neighbors. Over 78% of our business stems from repeat business.Our window cleaning staff have all been through a rigorous training process. Aside from being window care professionals, our employees are always courteous, polite, reliable, and punctual. Window Cleaning guarantees that every window washed by our professional cleaners will be to your liking! Should you have any questions about our professional window glass cleaners or any of our other services, feel free to contact us at 020 3616 0597 or e-mail us at [email protected] and we’ll be happy to attend to your concern. 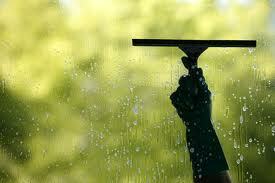 At Window Cleaning we treat each customer as if they are our most important. We are very devoted to the work we do and strive to achieve the unprecedented results no matter how small or big the project is. It is on these principles that we have earned a reputation with property managers and owners to be the best in our industry. In addition, our company cares much about sustainable living in the London area, thus we are proud to do our part for the environment. We use a 100% biodegradable cleaning formula, which also keeps your windows cleaner for longer.